Explore popular GE electric water heaters for residential water heating, including small for point-of-use applications, large for the whole-house water heating and electric heat pumps for ultra-efficient operation. The difference between the electric water heaters from General Electric is not only in size but in quality of the parts, features, systems for protection and warranty. There are four General Electric water heaters from the point-of-use (POU) group, with the capacity of 2.5, 6, 10 and 20 gallons. Due to its small size, POU models are using a single element of 120 V for water heating, with the power of 1440 W for the 2.5-gallon unit and 2000 W for larger models. A model with the tank size of 2.5 gallons is shipped with the power supply cord and the plug used only in 120 VAC applications, while other models are wired only to the junction bracket. They are perfect for installations right at the spot where hot water is needed, and for small jobs or in homes with the limited space for installation. They are also recommended for water heating in vacation homes, RVs, and small offices. Water connection used on 6 and 20-gallon tank size models are 3/4" while on the 2.5-gallon model hot and cold water pipe connections are 1/2". The drain valve is not supplied except for the smallest 2.5-gallon model. A relief valve on the smallest model is located at the top of the water heater, while 6, 10 and 20-gallon water heaters are using side connections. 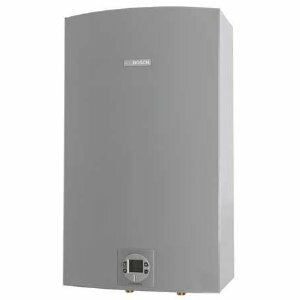 There are five GE electric water heaters with the capacity of 30 gallons which are available with three different length sizes: unit length of 30" is classified as short, 36" as medium and approximately 45" is classified as the tall unit. 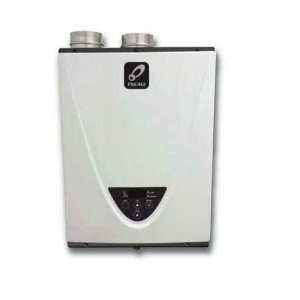 All 30-gallon units are with the same energy factor of 0.93 but have different First Hour Rating; which is from 29 GPH for the short unit to 48 GPH for the tall unit PE30T09AAG, thanks to the self-cleaning system, heavy duty anode rod, and stainless steel upper heating element. The units are using the heating elements with the power of 4500 W and 240 V, except for the short model PE30S09KAG which uses the element with 3800 W.
Both 38-gallon models; GE38S06AAG and PE38S09KAG are short, with the same size, weight, and energy factor of 0.92. PE38S09KAG with the heating power of 3800 W provides 30 GPH while GE38S06AAG model with 4500 W delivers 45 GPH. 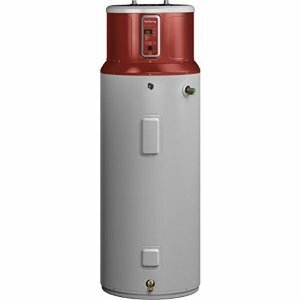 Six models of 40-gallon electric water heaters are built as medium and tall, where the tank height for a medium size is approximately 46" and for tall is little over 59". Only one model, SE40M12TAH, is designed with the double 5500 W heating elements, and that helps the unit to provide 22% faster recovery than the 6 and 9-year warranty models. That is the reason why this GE electric water heater has the highest energy factor EF of 0.94 in the group and 56 GPH First Hour Rating. Other models are designed with the heating power of 4500 W, EF 0.92 and First Hour Delivery from 50 to 57 GPH. 50-gallon models can be found in the tall size and with the tank height of 57" and two diameters: 19" and 22 1/4" and medium with the tank size of 46" and diameters of 21 3/4" and 24 1/4". Two medium-size models with the power of 4500 W are having the EF of 0.9 while the unit with the power of 5500 W has the energy factor 0.93. First Hour Delivery rate on all medium size 50-gallon models is the same 62 GPH. The tall size water heaters are having the energy factor 0.91 except the model with the largest diameter GE50T06TAG, 0.94. Heating power of 4500 W and recovery rate of 67 GPH are the same for all tall models. Check out the best 50-gal electric water heaters. Choose between two 80-gallon GE electric water heater models if you have a home with the high hot water demand. Both of them are tall in size, 59" in height and 23" and 24 1/2" in diameter. Wider units are designed with the EF 0.92 and thanks to the 5500 W heating elements it provides 88 gallons first-hour delivery. The other model has the EF of 0.86 and 4500 W heating power, resulting in the First Hour Delivery of 87 GPH. When going through our review of General Electric hot water heaters, you will find that some models are built with the standard economy class components like copper heating elements or higher quality stainless steel elements with the resistor design. Some units are equipped with one heating element, while other with two elements and two adjustable surface-mounted thermostats. The thermostat is factory set to 120 F, and by using the dial, you can change the temperature of the hot water up to 160 F.
The BTUH rating of the relief valve must not be less than the input rating for that water heater. The input value can be found on the rating label at the front of the unit. Some units with higher energy efficiency are equipped with the thicker foam insulation and heat traps in both hot and cold water line. Self-Cleaning System on some models is used to reduce the sediment buildup. Porcelain lining on the inner tank surface and magnesium or heavy-duty anode rod for protection against corrosion. General Electric offers for its GE electric water heater models three different warranties 6, 9 and 12 years. Electric heaters with the 6-year limited warranty can be found in sizes from the smallest 2.5-gallon tank to the largest 80-gallon capacity for residential applications. As the warranty is related to the metal tank durability, a longer warranty is followed by the higher quality of parts used. Water heaters from this group with the lowest warranty have the standard, economy magnesium anode rod for protection against corrosion and standard copper heating elements. Electric heaters with the 9-year limited warranty are manufactured in 30, 38, 40, 50 and 65-gallon tank sizes. A longer warranty of three years, when compares to the previous group, is because GE offers stainless steel upper heating element with the patented resistor design instead of the copper element. To protect the system from the sediment buildup these systems use the Self-Cleaning System and heavy duty anode rod for the efficient fight against corrosion. 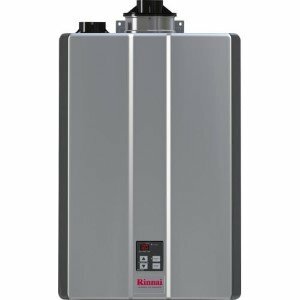 Electric water heaters with the 12-year limited warranty are built only in sizes of 40, 50 and 80-gallons, and as the previous group, they also offer the high-quality elements that protect the unit and extend the life of the tank and other components.